There are many ways to support the Way of Holiness. We are in need of financial, material, and most importantly, spiritual support. We are attempting to stay on top of the much needed repairs and upkeep of our facility. This year we need to pay attention to our structures. 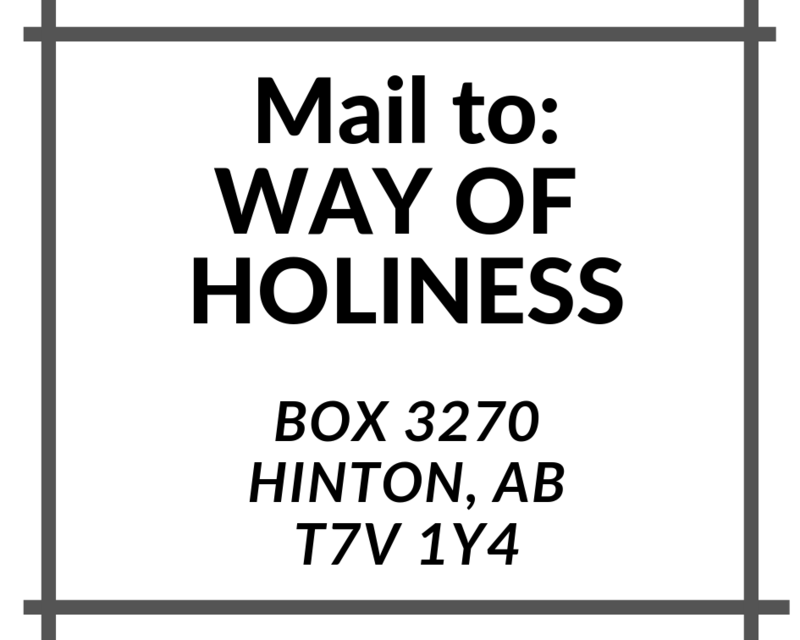 All donations to the Way of Holiness are tax deductible. Please include your name and address with all donations so that we can send you an income tax receipt. Receipts are issued annually, in early February, unless otherwise specified. We are grateful for any support you can give. Clicking the button to the right will allow you to make a donation online or if you prefer, you can send a cheque or money order to the address at the bottom of the page. Become a regular donor and help us plan and budget more effectively. Small amounts add up so $5, $10, $25, $50 or $100 a month is incredibly helpful. If just 400 of our friends, gave $25 a month, for a year, we could cover many of our most pressing needs. Use the button to the right, to give monthly, by PayPal or credit card. Or if you prefer to have us debit your account on a monthly basis please download the ‘Permission Form’ to the right. Fill it out and mail it along with a void cheque. We need Prayer Warriors who will intercede for us on a regular basis. Pray for a major benefactor to step forward. Pray for our growth in holiness. Pray for our succession planning.